Today I'd like to share one of the projects I created for U Stamp with Dawn & Friends, Grow Creative Love! 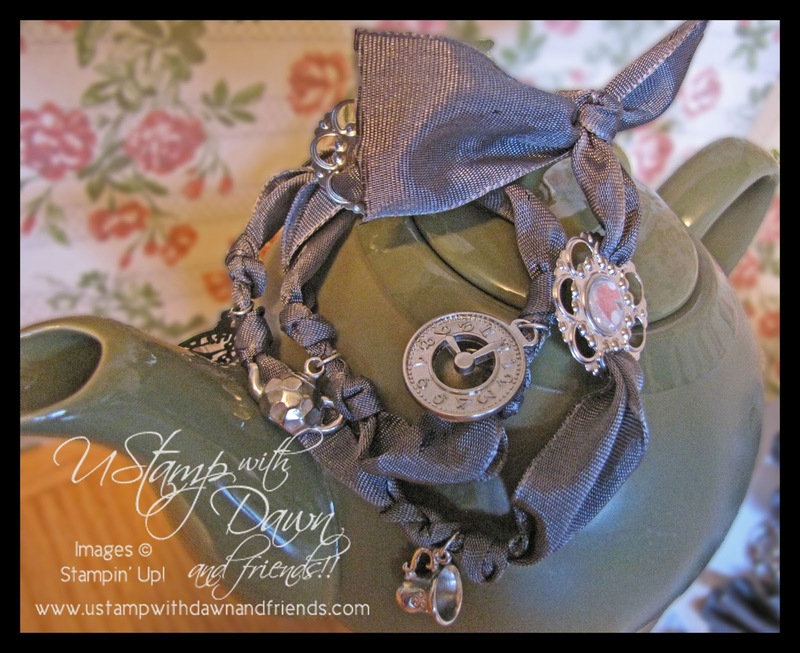 I created this little charm bracelet with items from the Spring Catalog - focusing on THE cutest Tea Time Trinket charms! I'm sure I've said this before but I'll say it again - Stampin' Up! is so so so much more than just paper and stamps - with a little creativity and ingenuity the possibilities are endless! If your interested in creating your own charm bracelet, head on over to U Stamp with Dawn & Friends, Grow Creative Love, by clicking on the blinkie to the left. There you'll find the fun has just begun - over the next few weeks over 40 (yes I said 40!) tutorials will be posted for your viewing pleasure! I'll continue posting the other projects made over the next while along with a few others I'm super excited about so stay tuned!